I confess, I can’t see how a printed version would work. The general texts are already available in hardcopy in the BCP and various ordos, aren’t they? And printing up booklets with each day all spelled out would result in quite unwieldy books rather quickly. Still, a printable version might work, although it wouldn’t have the flexibility of the app or the online version. The only difficulty is either finding someone willing to donate their time to do the layout work or paying someone to do it, although Forward Movement might be quite helpful there. Actually, I could do the work too, but I’d need paying. Woot! Congrats! Thanks for all your hard work! It’s not official recognition. Scott+ used it before he was at FM and now that he’s there is able to leverage it. I see it as a recognition that I follow the BCP as fully as possible and have a quality code base that can negotiate the cycles correctly (most of the time…) without oversimplifying them. I’m just excited that we’ll be able to introduce a lot more people to the Office this way! No one book pulls together the resources that I draw from. In particular, most of the books with such resources are still on the Old Kalendar and thus use Pre-Lent, Sundays after Trinity, etc. that don’t connect well with the current Kalendar and the RCL.If I were to do a printed version, it would look very much like the Anglican Breviary in form. I haven’t yet broached the topic of a printed version with FM. If I did, the one thing that I would insist upon might make it problematic—I can’t stand the quality of most of Church Publishing’s liturgical books. I would require the physical book to be a solid Smyth-sewn product that could stand up to years of daily use. I don’t know how much that would impact the final price. 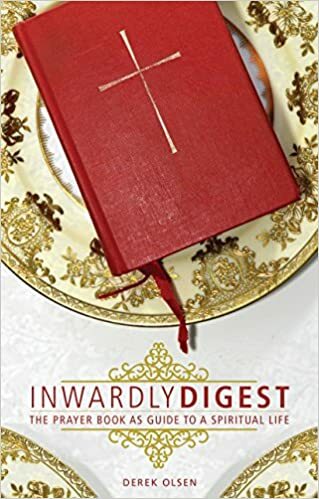 I’m afraid I’m not actually familiar with how the Anglican Breviary is organized, and I haven’t found any quick and inexpensive way to correct my ignorance. It seemed like one only really needs two books for the Offices, a BCP and a Bible, although things like an Ordo for the year or a list of saints with their collects and dates could obviously be helpful for expanding one’s devotions.